If you don't have a phone plan, we can call you back. Even if you are not part of our registry or area, and you need help proving your native line, our researchers can do a search for records to try to prove your native ancestry for a minimum fee. Our research group is the ONLY organization that provides you with all the results of this search so you know who your ancestors are and can share this information with your family. 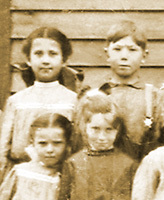 Our researchers each have extensive experience with genealogy, old script, and speak and read French. Our registry requires copies of baptism and marriage records for each person in the line. If you cannot find all the documents to fulfill this requirement, please contact us. Please do not send original documents. People born within 100 years that do not have a legal record of their birth or baptism need to obtain a long form birth certificate themselves. The long form birth certificate lists the parents' names and can be ordered from the municipal records archives where they were born (ex. Service Ontario online). Each applicant must submit a copy of government-issued photo ID - either their health card or their driver's license. Because cost of passport photos is an issue with some of the people in our communities, we will accept photos taken using a cellphone or digital camera (selfie type), but they must adhere to the following guidelines, or they will be refused. Remember, the photo you submit must be usable for identification purposes. 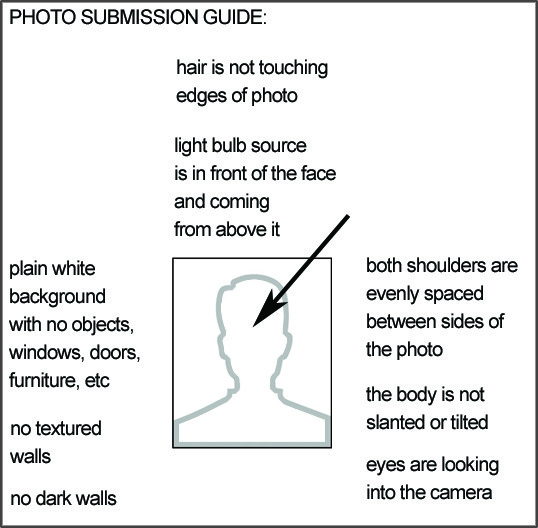 Please do not submit a photo that shows parts of people standing beside you. Photos must be accompanied by the signed declaration form included in the application. Please do not send original documents, only send copies.